Find out why the use of punishments in dog training has changed over the last few years. Learn what positive punishment is, and how negative punishment can help you train your puppy. Should you punish your puppy? We’ll look at the differences between positive and negative punishment, at the importance of timing in punishment and at it’s side effects. It may help if we first define what we mean by punishment. Punishment in behavioural terms has a much more specific meaning than the emotive one that we attach to the word. Strictly speaking punishment is anything which happens to, or around a dog, that makes his behaviour less likely to be repeated. It could be a deliberate thing, such as a smack from his owner, or an accidental thing, like standing on a sharp thorn. It could also just as easily be someone stealing his dinner, or a firework exploding next door. The crucial factor is: did the dog find this event unpleasant? If he did, then the ‘unpleasantness’ of the event will ‘punish’ (make it less likely to be repeated) his behaviour. We can further divide punishment into two categories. A punishing consequence may have ‘added’ something to the dog’s environment. A smack, or a loud noise fall into this category. But a punishing consequence may also occur when something nice is taken away from the dog, as when the other dog stole his supper. It can be somewhat confusing when you first hear the words ‘positive punishment’, but this is because the terms positive and negative are being used in the mathematical sense. Not to mean ‘good’ or ‘bad’. Using positive punishment for example simply means that you do something to, or around, your dog that he would rather avoid. It is positive because you have ‘added’ something to the dog’s environment. Many dog trainers use positive punishment unwittingly. They don’t actually hit their dogs, but still apply consequences to a dog’s behaviour that the dog finds aversive. Spray collars and rattle bottles fall into this category. So do pet correctors, dog dazers and the more well known punishers such as prong collars, e-collars, heeling sticks and so on. These are all forms of positive punishment in dog training. Negative is another mathematical term. This time it means ‘subtracted’ or ‘taken away’. So negative punishment is quite simply the act of taking something away from the dog, where the act of taking something away diminishes his behaviour. You can take away tangible things like food or a toy. But you can also take away opportunities. We usually do this using a some form of restraint. Let’s say you are holding your dog’s dinner bowl over his head. You wait for him to sit. Immediately his bottom lifts off the ground you lift the bowl back up into the air again. After four or five repetitions, your dog will begin to remain seated while you lower the bowl. This is because you have diminished (punishment) the ‘getting up’ behaviour by removing (negative) the bowl. Like all consequences that we apply to a puppy’s behaviour, punishment needs to be well timed or it does not work. This applies to both negative or positive punishment. It is never a good idea to use positive punishment on a puppy. It is very stressful and upsetting for him and will damage the bond and friendship between the two of you. Obviously, you don’t want to harm your puppy. And because many of us want to discriminate between physical violence towards dogs, and other forms of punishment, many trainers use the word ‘correction’ to describe a punishment that is not harsh or that does not involve much physical contact. 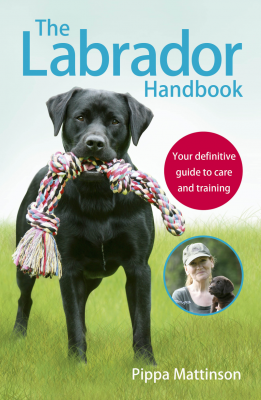 The word correction is not however, a behavioural term and there is no clear agreement between different dog trainers as to what exactly constitutes a correction. I may use it as described above, but some trainers use the word correction for quite forceful and physical punishments. So it is best not to rely on the word as meaning kind or gentle. The only form of punishment we need to use in puppy training, is negative punishment. This simply means removing something the puppy wants, until he does what we want him to do. The food bowl above is one example, another is the way we help puppies learn to walk on a loose lead. If the lead goes tight, we stand still. If the lead is loose we move forwards. What the puppy wants to do, is move forwards, and we are removing that option when we stand firm. We use negative punishment to deny dogs and puppies access to things that they want, in order to diminish unwanted behaviours. Behaviours like barging, barking, whining, pulling and snatching, can all be diminished using negative punishment. 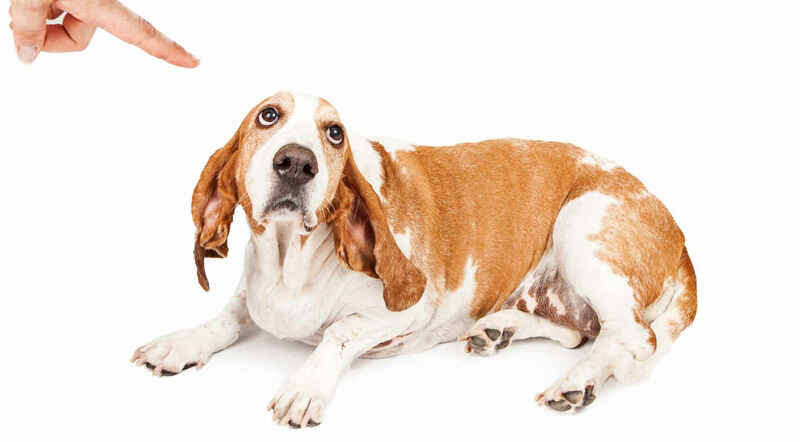 If your dog barks for his dinner, take his dinner away until he stops barking for example. The same if he barks when he sees his lead come out. Don’t clip on the lead until he is quiet. Why has positive punishment fallen out of favour? We all want to have a good relationship with our dogs. As dogs in society have become more valued positive punishment has fallen out of favour. Dogs in many parts of the world are now regarded more as family members than as pets. People generally have a better understanding of psychology nowadays and appreciate the potential for modifying behaviour through positive reinforcement. Physical punishment is used less frequently on both dogs and children as society shifts its approach towards discipline. Are we too permissive now? Some traditional dog trainers will say that dogs that are not trained using some degree of punishment, are likely to be spoiled and badly behaved. However, there is no evidence to support this belief. I talk to just as many positive dog trainers complaining about having to retrain dogs that have not been effectively trained using traditional methods, as I do to traditional trainers complaining about dogs that have not been trained effectively using modern/positive methods. It is true that there are some badly behaved dogs around, but this has always been the case. It is also true that some people don’t have the commitment to train a dog with any method. Traditional trainers may associate modern training methods with permissiveness but being permissive, and training without much punishment are two very different things. Are there problems with using punishment? Using punishment is not necessarily more effective in most training scenarios, than using reinforcement to get the same job done. 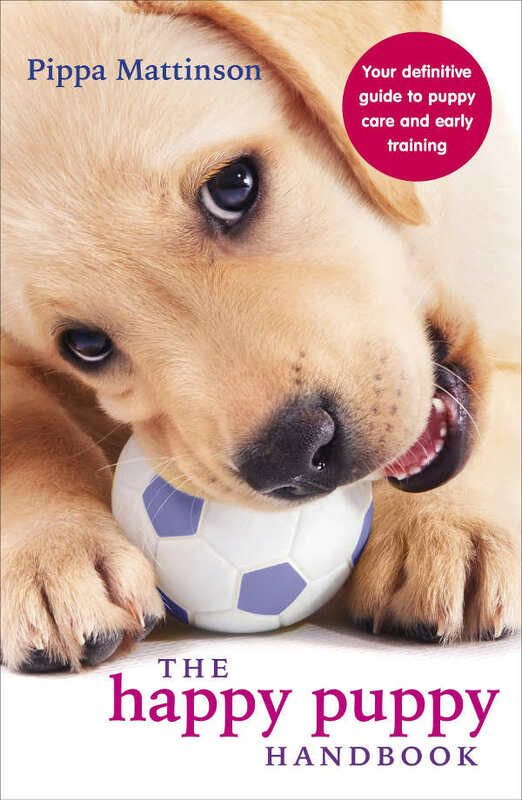 In early training, where we are establishing new behaviours, punishment can significantly delay the process because it inhibits the puppy’s willingness to try out new things. Punishment is also damaging to the bond between puppy and owner, and has been shown in several studies to significantly increase aggression in dogs. Nowadays, most of us want to be nice to our dogs. We also recognise that there can be some from using punishment in dog training that we may want to avoid. This means that more and more of us are training with the opposite of positive punishment, and that is positive reinforcement. You may have been told that food is cheating, or just for little puppies and that your dog should work for a pat and a kind word. Don’t be tempted to go there. Your puppy learns from the consequences of his actions. This means that he learns from your actions. His behaviour can only be modified if you apply consequences to what he does. If you don’t use positive reinforcement effectively, you’ll have to use positive punishment. This is why training with few or low value rewards leads to using more punishment. Using punishment won’t necessarily speed up your training, but trying to cut corners and train more quickly is likely to lead to more punishment. Punishment is anything you do to or around your dog that he will work to avoid in the future. The use of positive punishment can inhibit learning in sensitive dogs, and lead to escalating violence with tough ones. Training with little or no punishment can sometimes take longer than training without it. It is true that many forms of punishment are very mild and do not physically harm the dog and in theory, there is nothing intrinsically terrible about punishing a dog provided that the punishment is appropriate and not harmful. 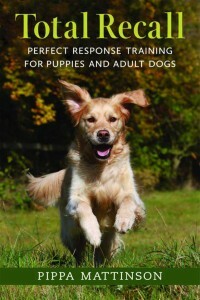 In practice it is more effective and better for your dog to be trained with positive reinforcement. And increasingly trainers are moving away from all forms of positive punishment for dogs. The techniques and exercises on this website don’t use positive punishment at all. Not because I believe that punishment is always unacceptable, but because most people don’t want to punish their dogs, and because most people don’t need to. I also believe that positive reinforcement training is the future. What do you think? Do you use punishment in your training, or do you prefer a more modern force-free approach? Why not let us know in the comments box below! Hi, Pippa. A friend’s veterinarian sister recommended your site to me. The puppy, who was living in a hole in the sidewalk, is now 3 1/2 months old. He’s mostly a gem. However, he has issues with resource guarding, particularly when it comes to rawhide bones that are soft enough and small enough to swallow. The dog trainers here talk about dominance theories and tell us to jab the dog and hold him down to get him to do what we want. I’m not comfortable with this, especially as he is going to be a big dog. Nor do I want to hurt a dog who is just out of infancy. Nor do I want to get hurt myself. If you can send us in any good directions, I would very much appreciate it! Punishment does not tell the dog what to do. Dogs don’t think like we do. Most of the time we are punishing dogs for being dogs. 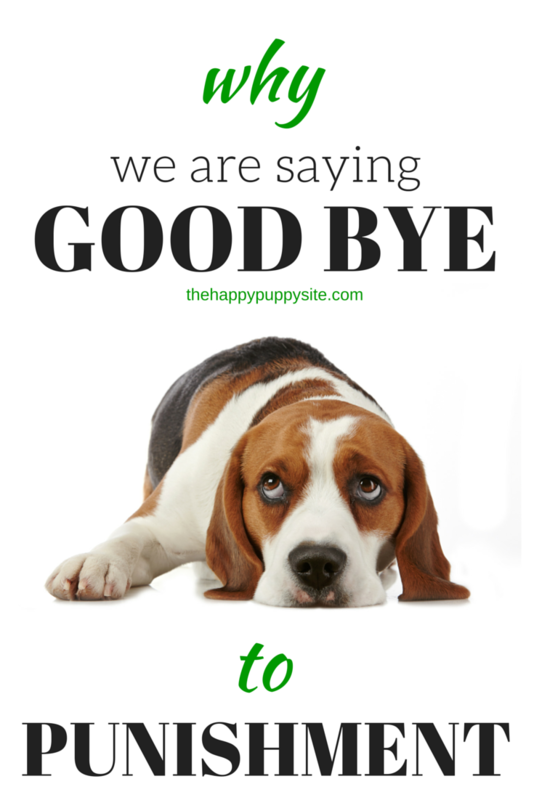 There are three things we can do when our dogs do something we do not like: management, does your puppy have too much freedom around the house? X pens are great (like a play pen for children) to help contain your puppy and limit its ability to get into trouble.. Set up near where the family is they can see you and filled with toys and food delivery toys, can be disneyland to your pup. Of course you do not leave them in there forever, take them out to play and go potty, but do not let your pup have full run of the house, it will help them from beginning behaviors you do not like, like chewing on furniture. Remember puppies explore with their mouths. Distraction- when your puppy begins to chew on anything even you, substitute a toy. Don’t play with your puppy using your hands. Cue a behavior- if your puppy knows a behavior, ask for it and reward that behavior, your dog can’t do two things at once. Why are you surprised by this ? Dogs want to be with a pack at all times and are very disturbed if left alone..only 5 hours …I would be asking if someone could look after my dog if I was going off for 5 hours. Do you have a family member or friend you could leave it with? A neighbour may be more than happy to oblige particularly the elderly who have had dogs in the past but don’t have the energy for full time dog ownership. Alternatively You could pay for a dog walker or sitter. Your dog will not understand you are coming back in 5 hours it is tearing up its environment in fear and frustration. I disagree with the reply you received back in 2016 and believe you are correct in your assessment. I think he is bored and that the “fear & frustration” answer is BS. I currently have a 1.5yr old girl (mixed breed, Aussie/BC probably) who destroys random things out of boredom (she counter surfs, so the counters are pristine unless something is left accidentally: remote controls, books, tape, pens, newspaper, etc.). She has another dog (4yr old, girl, mixed breed, BC/lab probably) who she loves and who is always left with her so that they won’t get lonely and I come home every single day to take her out for lunch, but this isn’t enough. I bought a camera so I know it’s her that’s being destructive and I know that it has nothing to do with fear or separation anxiety. I’ve tried everything, but still haven’t had any luck finding an answer. Let me know if your boy grew out it or if you finally found something that worked and I’ll do the same. Don’t give up! Thank you for saying that sometimes people will say “no” to their dogs even if it isn’t the perfect way to train your dog. That’s really the sum of my point that, in reality, all four of those principles are typically used by humans. And humans are who “train” dogs. After all, those principles were not just “invented”- they were “observed” and then defined. I’ve heard other people talk about the positive dog training movement and it seems to be showing this image of perfection. For me personally, I just want to speak to a knowledgeable, positive dog trainer that can be open minded and hear me say that I said “no” to my dog and not get reprimanded for it :). In my experience, that kind of feedback isn’t helpful for people. Should we correct a person if they got angry and hit their dog? Absolutely. If they said “no” to their dog? Not in my opinion 🙂 That dog sounds like he’s in a safe and loving environment and to me, that’s the real goal of training, bonding, etc. I think you’ll be fine Sarah, I’ve met many dog trainers, and I don’t know any that would chastise you for occasionally saying NO to your dog. 🙂 Judging by the emails I receive, and the conversations on my forum, which you are welcome to join, you are more likely to meet a dog trainer that you feel is too harsh on your dog than one that you find overly positive. I understand what you’re saying about people not wanting to punish, hence my thoughts on people being a little wary of it because of physical, inappropriate punishment methods. In my experience, many people do tend to have preconceived notions of “punishment” or “consequence”. Perhaps you haven’t met people like that, but I’ve run into many. It’s just like you said though- it’s often because just the very word brings to mind “mean” actions. That’s simply the way we think because no one wants to be punished. I have to respectfully disagree with your thoughts on learning theory though. They most certainly are intended and have been studied for specific purposes- teaching and/or learning. Hence, teaching children, animals, students, etc. Children, animal, students, etc. learning is the flip side. Many studies, at least with humans, have shown that using a balance between reinforcement and punishment is the most effective approach for learning. I know that doesn’t necessarily mean that’s how it will be for dogs. My point was just that it seems everyone gets into a predicament once in awhile where they might need to use positive punishment. This is my experience based on working with humans; however, humans are still the ones in charge of their dogs so that was my only point in saying it would be nice to hear from a positive trainer that saying “no” or “uh-uh” or some other positive punishment can still be in line with their training. To be clear, I’m in no way saying that you necessarily rely on it, but instead use it “in case of emergency”. I probably didn’t make that very clear. I am trying to say that a scientific theorem cannot have or own an intention, that is a human characteristic, a mental process of planning and determination. I agree that people using learning theory or contributing to it may have intentions or beliefs as to how it is used. And there may be a history of using it in a certain way. But it isn’t capable of having any intention in and of itself. 🙂 And there is no doctrine as far as I am aware that prescibes which quadrants of learning theory should be used together in any given circumstance. At least not in the field of animal training. As someone who has trained both ways, having been for many years a traditional trainer, I can vouch for the improvement in the way I relate to my dogs when the use of punishment is ruled out of the equation. I would love it if you had a forum I could visit! I believe that if we want to use behavior modification principles then we should respect that they are a unit and are meant to be used together as a whole system. It’s the system of using them all, appropriately, that makes behavior modification successful. People who dislike dominance methods do so because of certain aspects mainly (e.g., alpha rolling, proving to be leader of the pack, etc. )- “cherry picking”. So, I don’t think it’s okay to jump onto another method and then “cherry pick” that one as well. It leaves me with little confidence in anyone or anything because there never seems to be uniformed acceptance of one method or theory, but still constant disagreements over what “part” of that method to use. Makes it so confusing for those of us that try to find helpful information on the internet. I’m also tired of hearing people be so offended by the words “punishment” or “consequence”. In regards to the article where she says that people no longer want to punish their pets- This leaves me feeling confused. Of course not, but, as a clinical therapist, I’ve never spoken to a parent that wants to punish their child either. It’s not fun, but providing the positive and negatives in life are our responsibility as guardians, protectors, teachers, etc. of both children and pets alike. It’s called balance. I totally agree with the above commenter as well about creating a window for competing reinforcers. Again, this is why “positive”, “negative”. “punishment”. and “reinforcement” are meant to be inter-connected and related and inter-twined according to the needs of the owner, dog, and the specific situation. My main issue with using 100% positive reinforcement as always been the competing reinforcers idea and the diminished appeal idea. In diminished appeal, the reinforcer(s) are used so often that they lose their value thus sending the dog owner on a never ending chase of finding that next high value reinforcer(s). For some dogs, like mine, the diminished appeal wouldn’t take very long and then that’s pretty much it for that thing. So, we can’t just use them up like Skittles. I’d love to hear other people’s thoughts on a forum that is open to reinforcement and punishment. I’ve really been searching for a dog forum that’s in a middle ground- that is, not radical on either side of the “pure positive————-dominance” spectrum. And also, a forum that encourages intelligent discussion. The laws of behavioral science are an explanation or description of how learning works. I don’t think we can talk about learning theory or it’s use as being intended for any specific purpose. It is just a scientific law and how you use and interpret it, is really up to you. A nicely written article, very clearly explained. I particularly like that you give examples of negative punishment. This is an update to your previous posts on this topic I think. Whilst I know what you mean by “I also believe that positive reinforcement training is the future” – I take a slight exception to it. Similarly, I take a slight exception to the trend for some dog trainers to describe themselves as “positive only”. My exception is based on the fact that such statements ignore the use of negative punishment. For the new dog owner, or for more traditional trainers trying to cross over to remove positive punishment from their toolbox; it can give a false impression that you just reward “good” behaviour, leaving them in a quandary regarding “bad” behaviour that they want to diminish. I was working with a lady with a rescue border collie this week who had been to a trainer who had told the new owner to “reward good behaviour and ignore bad behaviour” – and she took that literally! She allowed her dog to choose behaviours that she didn’t want and simply let the dog get on with it ad infinitum, feeling frustrated that whilst she was using positive reinforcement, her dog still chose to ignore her in more distracting situations. 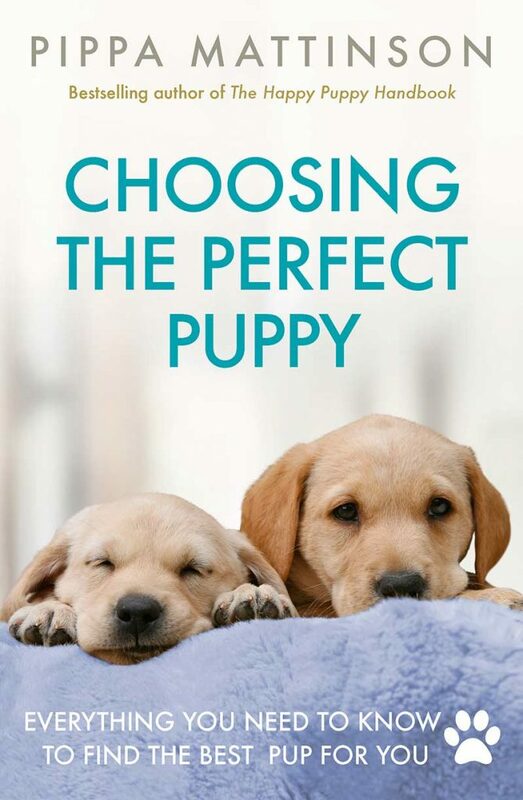 In the words of Dr Sophia Yin – if you ONLY use positive reinforcement then you end up with competing reinforcers – the one you would like your dog to choose vs the one he IS choosing. This is why many owners and newer “modern trainers” struggle in more challenging/distracting circumstances. It is why traditional trainers claim that positive reinforcement “doesn’t work”. Dr Yin is clear that negative punishment is at least AS important as; if not MORE important than; positive reinforcement. I agree with her. You cant train your dog not to chase rabbits, while he is choosing to chase rabbits! Also I have seen video from Dr Yin, where she uses a brief period of negative reinforcement, via a head collar, to initially obtain some eye contact with a reactive dog in the presence of another dog – it was literally 5 seconds and the head collar pressure ceased immediately eye contact was established. I don’t see anything wrong with that, it was humane and applied as part of an overall strategy. I don’t know what phrase or term we could use for trainers who do not use positive punishment. “positive only” is certainly a misnomer because it would include positive punishment but exclude negative punishment. Similarly, I find the term “force-free” unsatisfactory because in negative punishment, for example the use of long lines to prevent a dog’s ability to self-reward and in the negative reinforcement example above, there is an element of “force” required, albeit humane and gentle. I am still struggling with a suitable term. If we could establish one, it would help owners and trainers alike. It would increase the toolbox of dog owners, help to remove misconceptions and also help to reduce the idea amongst traditional trainers that this is a “permissive” regime.